Grief, Loss, and Staying Present. In the aftermath of losing Cece, I felt like I needed to say something about mental health and the importance of our animals. So…here it is. Honest public discussions about anxiety and depression are becoming more common, and I think it can be incredibly valuable to talk about these experiences openly, because they are so often shared by others. Every significant moment in my life is organized in my brain by date, time of day, and day of the week. As I get older, the number of days out of the year that must be noted, dreaded, or honored in some way just increases. Last Friday, April 1st, 11pm, was added to the list. My dad also died on a Friday, also at 11pm, December 16, 2011. On Tuesday, July 7, 2009, about 4pm, with afternoon sun blasting through the kitchen windows and a pretty terrible vegan quiche in the oven, I had my first proper kiss. But on another beautiful Tuesday afternoon in March, that boy broke my heart. Around 3pm on Thursday, December 18th, 2014, my favorite doctor called to say I had cancer. Those little details shouldn’t matter, but somehow that is the information my anxious brain clings to when the alarm goes off and all the signs say “Pay attention, this is important.” Some of those moments are bright and vivid and joyous, but many of them are snapshots of the deepest pain, fear and uncertainty. I was reminded this weekend that all of those moments are connected. They all live in the same part of my brain and heart. Experiences of trauma do not exist in a vacuum, and they like to gang up on you and combine in new and excruciating little ways. In retrospect, I have realized that I was always an anxious child, and experienced a lot of physical symptoms of general anxiety disorder without any sort of understanding, but in October of 2013 (amazingly I don’t remember the date), I had my first full-fledged panic attack. It was the kind where you get super light-headed, dizzy, and nauseous, and your heart beats so fast that death seems like an inevitable relief. My dog was not a trained service dog. She wasn’t a trained anything. She was old and falling apart and a very picky eater and not very smart and often loud and sometimes cranky and occasionally mean to children. But she was everything I needed because she needed me. Everyone talks about the amazing unconditional love of dogs. It’s true, they give us affection without judgement. But the greatest gift that Cece gave me, was expecting more. She demanded that I buy the most premium dog food, and then demanded that I change it every week for variety or she’d go on a hunger strike. She demanded that I arrange my schedule so that she could make inconveniently tiny poops at least four times a day, instead of one or two big ones. She demanded that i get in bed and turn the lights out a reasonable hour, because old ladies get very cranky past their bedtime. She insisted that certain strangers we encountered on our walks were meant to be new friends. She demanded that I be present, and active, and brave, even at the airport, because her happiness depended upon my happiness. Everything about Cece made me want to be the best human I could, for her. And that human happened to be the best version of myself. She was so deserving of love and protection and comfort and long walks in the sunshine, and it kind of blew my mind that I, and no one else, could do all of that for her. Caring for Cece gave me a daily purpose, and the stability and routine of her needs started to make it seem possible to take care of myself. That focus and consistency, and knowing what she expected of me, helped me in ways that medications and talk therapy never could. I don’t think trauma or anxiety ever go away. This week I have been reminded of that in a sharp way. My apartment felt too quiet and empty, and I had my first real panic attacks in many months. I have learned that I am incredibly resilient. I have survived all of those Tuesdays and Thursdays and Fridays, and the past three months have been some of my absolute happiest. Right now I still feel scared and sick and shaken, and the ticker tape of Bad Days has been on loop since 5am Saturday morning. But in the quiet moments when my heart stops racing, I am deeply, achingly grateful that I know now what it is to be needed. I know that the thing that can snap me out of an infinite anxiety loop, and pull me out of stagnation, is a little dog who expects me to wake up and be the World’s Best Human every single day. No excuses. It wasn’t too long before an elderly animal came into view, head hung heavy and low with tail dragging along the ground. The other animals on the pathway…the ones who had been at Rainbow Bridge for a while…knew the story of this sad creature immediately. They had seen it happen far too many times. Although it was obvious the animal’s heart was leaden and he was totally overcome with emotional pain and hurt, there was no sign of injury or any illness. Unlike the pets waiting at the Bridge, this dog had not been restored to his prime. He was full of neither health nor vigor. He approached slowly and painfully, watching all the pets who were by now watching him. He knew he was out of place here. This was no resting place for him. He felt instinctively that the sooner he could cross over, the happier he would be. But alas, as he came closer to the Bridge, his way was barred by the appearance of an Angel who spoke softly to the old dog and apologized sorrowfully, telling him that he would not be able to pass. Only those animals who were with their special people could pass over the Rainbow Bridge. And he had no special beloved people…not here at the Bridge nor on Earth below. With no place else to turn, the poor elderly dog looked toward the fields before the Bridge. There, in a separate area nearby, he spotted a group of other sad-eyed animals like himself…elderly and infirm. Unlike the pets waiting for their special people, these animals weren’t playing, but simply lying on the green grass, forlornly and miserably staring out at the pathway leading to the Bridge. The recent arrival knew he had no choice but to join them. And so, he took his place among them, just watching the pathway and waiting. As he was about to receive his answer, the clouds suddenly parted and the all-invasive gloom lifted. Coming toward the Bridge could be seen a single figure…a person who, on Earth, had seemed quite ordinary…a person who, just like the elderly dog, had just left Earth forever. This figure turned toward a group of the sad animals and extended outstretched palms. The sweetest sounds they had ever heard echoed gently above them and all were bathed in a pure and golden light. Instantly, each was young and healthy again, just as they had been in the prime of life. 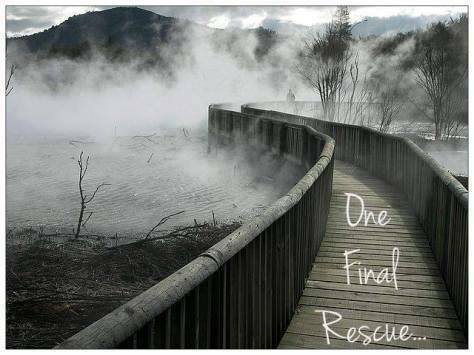 “That was a rescuer,” came the answer. “I think I like rescuers,” said the recent arrival. “So does God,” was the reply. Whoever said that diamonds are a girl’s best friend…. She keeps repeating it over and over again. “We’ve been back to this shelter at least five times. It has been weeks now since we started all of this,” the woman told the volunteer. “What is it she keeps asking for?” she asked. “I know. We have seen most of them,” she said in frustration. Just then the young child came walking in the office. “You never know when we will get more dogs. Unfortunately, there’s always a supply,” the volunteer said. The young child took her Mother by the hand and headed to the door. “Don’t worry, I bet we’ll find one this weekend,” the child said. “It’s this weekend or we’re not looking any more,” Dad finally said in frustration. “We don’t want to hear anything more about “puppy size” either,” mom added. Sure enough they were the first ones in the shelter on Saturday morning. By now the young child knew her way around, so she ran right for the section that housed the smaller dogs. It was the last cage on this last day in search of the perfect pup. The volunteer opened the cage door and the child carefully picked up the dog and held it closely. This time she it took a little longer. “Mom, that’s it! I found the right puppy! He’s the one! I know it!” she screamed with joy. Mom, startled by all the commotion, came running. “What? Are you sure? How do you know?” she asked. “Yes, it the same size as all the other puppies you held the last few weeks,” mom said. “No, not “size”. “sighs.” When I held him in my arms he sighed,” she said. The two women looked at each other for a moment. Mom didn’t know whether to laugh or cry. As she stooped down to hug her child she did a little of both. “Mom every time you hold me I sigh. When you and Daddy come home from work and hug each other you both sigh. I knew I would find the right puppy if it sighed when I held it in my arms,” she said. TWO WOLVES : One evening an old Cherokee told his grandson about a battle that goes on inside people. He said, “My son, the battle is between two wolves inside us all.